This blog is typed through drooping eye lids from staying up until the wee small hours watching the 87th Annual Academy Awards… But my goodness was it worth it! Few things excite us Tootsies more than a red carpet. It’s a magical place where handsome men in tuxedos smile & women float on their Louboutins in dresses that make 5 year old us weep with joy! Up do’s, sequins & floor length gowns on a Sunday evening – quite simply heaven! Oh Calvin Klein! This beauty was hand embellished with 6000 pearls. The racer back style & cut out detailing are to die for. Why have a pearl necklace when you can have an entire pearl dress?! This Ellie Sabb creation was a real show stopper! The vivid green backless dress really let Emma’s alabaster skin & red hair shine. I mean what could be better than a fully sequinned ball gown? You’re quite right… Nothing! This Zuhair gown is nothing short of dreamy. How is it possible Rosamund had a baby just over 12 weeks ago?! This Givenchy red lace dress shows off her tiny waist. We love the scallop detailing on the neckline. Now, followers of our blog will remember this from our #vintagegirlproblems piece. We bemoan our on-going pain at the loss of the well-dressed man. Well here are two wonderful gents fighting the good fight for beautiful tailoring! 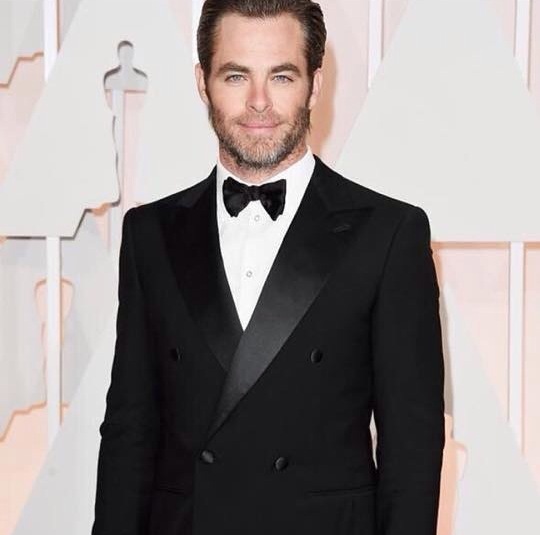 Chris is fast becoming one of our male fashion heros. We adore this modern take on the classic double breasted jacket. David is fearless when it comes to his red carpet looks. 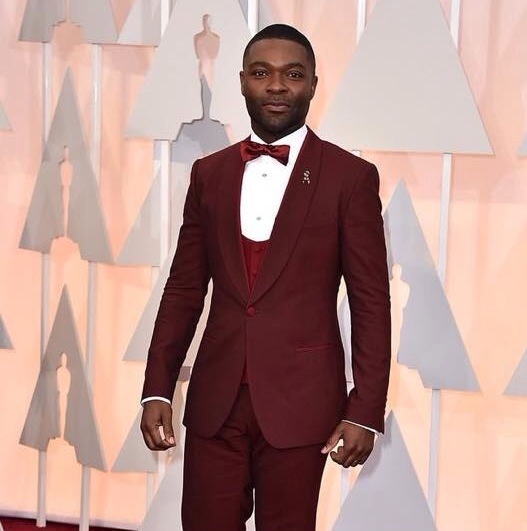 This ox blood three piece suit manages to be cutting edge & classic at the same time. His signature style of immaculate tailoring with a quirky twist has got us all hooked. Love this post. I haven’t watched the show yet will probably try and catch up tonight. From these photos though Lupita’s has to be my favourite! She looks incredible.